The temperate climate of West Sonoma County provides ideal growing conditions for a wide variety of fruits, vegetables and vines. Local producers were early adopters of organic and sustainable farming techniques, so our local produce is second to none in quality. Likewise, local dairies produce organic cheeses of extraordinary quality. 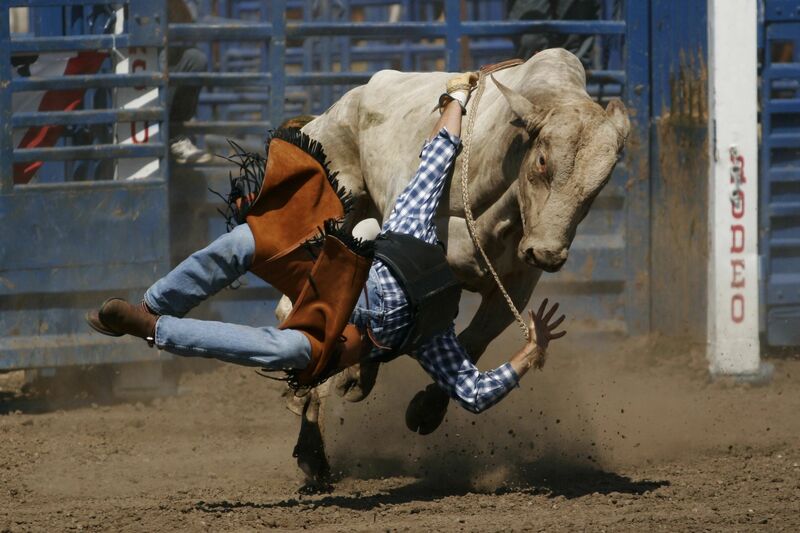 Guerneville is the heart of the Russian River Resort area and HQ of our Rodeo at the River! During the summer, towns such as Guerneville, Sebastopol, Healdsburg, Occidental and Bodega Bay host weekly farmers markets where the freshest local produce is available. Depending on the market, you may find a variety of food stands serving everything from barbecue to vegan. Local musicians often provide a melodic background of bluegrass, jazz and/or blues. 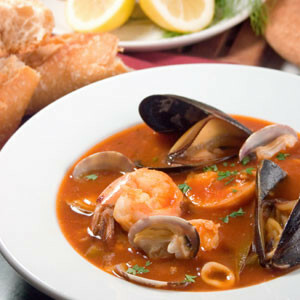 Festivals throughout the county celebrate a variety of local foods, such as the Bodega Seafood & Art Festival, the Gravenstein Apple Fair in Sebastopol and the Flavors of Fall in Guerneville. Events such as A Wine & Food Affair and the Russian River Food and Winefest showcase the finest foods and wines of the region. The soil, topography and climate of this region provide excellent growing conditions for a variety of grapes—most notably the pinot noir, chardonnay and sauvignon blanc varietals. Our skilled winemakers then transform each harvest into world-class wines. The Russian River Valley appellation stretches from Guerneville in the northwest corner, south to Highway 12 and then east of Healdsburg onto the far side of Highway 101. 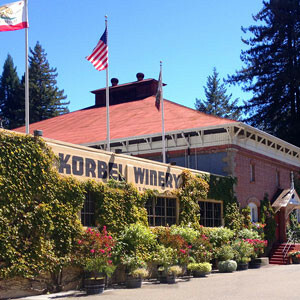 Neighboring appellations include Dry Creek Valley, Alexander Valley and the Coastal Region. There are wine-related events such asbarrel tastings and food pairings throughout the year suited to both seasoned wine lovers and newcomers alike. 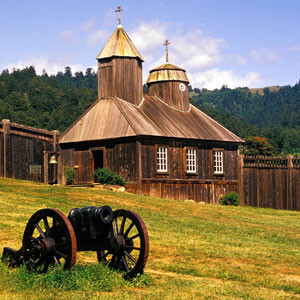 The climate and landscape in our part of Sonoma County combine to make it an ideal location for outdoor activities. Unlike the sometimes oppressive heat of the inland valleys, we are very fortunate to have warm sunny days that are tempered by cool breezes from the nearby Pacific Ocean. 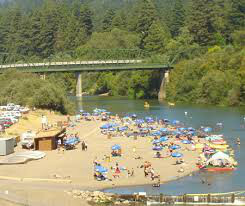 Visit Johnson's Beach, where you can sunbathe, picnic with friends or rent a kayak or canoe to paddle on the Russian River. 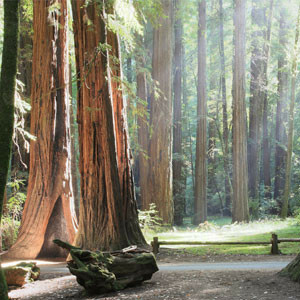 Armstrong Redwoods State Natural Reserve, a unique grove of coastal redwoods, is just two miles away. Hiking amidst the 2000-year-old, 250-feet-tall trees is an experience not to be missed. We suggest a pleasant stroll on the forest floor, an activity that is also wheelchair accessible. More challenging trails are available for the energetic, and horseback riding is available in the park as an exceptional alternate way to experience the majestic scenery. Beach horseback riding is available a short drive away at Chanslor Ranch near Bodega Bay. Other coastal activities include fishing, whale watching and a variety of educational environmental programs provided by the Stewards of the Coast and Redwoods. Sonoma County Is a Cyclist’s Paradise Bike riding is a popular activity throughout the year, with roads and trails shaded by our picturesque redwoods and hills. Bike rentals are available nearby. The Amgen Tour of California (a bike race modeled after the Tour de France) is held in February and often follows a route close by the inn. 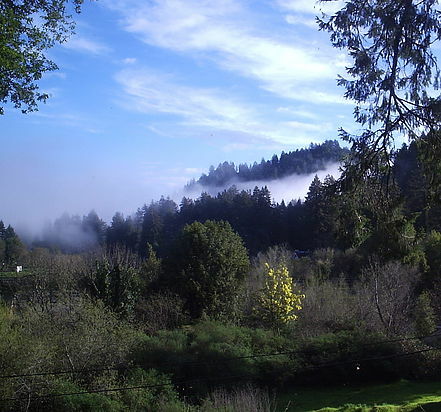 West Sonoma County has inspired landscape artists and photographers for generations. From vineyards, orchards and manicured gardens to soaring redwoods and rugged seashores, artists have an extraordinary range of landscapes and vistas from which to choose. Three miles downriver in Monte Rio is the Northwood Golf Course, designed in 1928 by noted architect Alister MacKenzie. Golfers enjoy this unique, scenic and challenging golf course, which is open year-round.